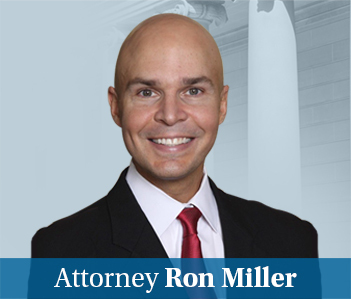 Our primary focus at Miller & Zois is to further the interest of our clients by maximizing the value of their injury or wrongful death claims. But it is also an absolute joy when we can be a part of changing Maryland law that helps all injury victims get a fair shake in their claim. We did this last week when the Maryland Court of Special Appeals gave a victory for our client and justice in Peeler v. FutureCare Northpoint, a wrongful death nursing home case. At stake in Peeler v. FutureCare Northpoint was the breath of an agreement to arbitrate any claims that arise between a resident and a nursing home. Our client’s mother in Peeler entered a nursing home after she had femoral-femoral bypass graft at Johns Hopkins Bayview Medical Center. She was asked upon arrival to sign an arbitration agreement. Clearly, this was not a moment of great clarity, right? This is not uncommon. Most decisions you make when entering a nursing home are made in crisis mode resulting from a precipitous decline in health. So in the midst of this emotional powder keg, the incoming resident or their family must sign a million documents. There is no time to plan or weigh options. I’m a lawyer. There is no way I’m reading all of those documents in that situation. I’m certainly not feeling free to negotiate with the nursing home. I’m in the most unequal bargaining position imaginable. I just want — or I wanted my loved one to get — the needed care to get through the days ahead. In 2016, these documents come with an agreement to arbitrate. Arbitration is a method of resolving disputes between parties without having a jury trial. In other words, the parties present their case behind closed doors to a neutral arbitrator (usually a retired judge or another attorney) who renders a decision and award for damages. Nursing homes and other healthcare facilities have preferred arbitration to jury trials, mainly because the awards for money are much lower. In the bigger picture of justice, are jurors a better choice in these cases? Well, our Founding Fathers saw fit to place the right into our Constitution in the 7th Amendment. For me, the big difference between an arbitrator and a jury is that jurors bring the values of the community into the decision-making process. With an arbitrator, you have one person — usually a white male — who gets to make the call. It is not fair. I wish I could say that the Peeler case rights that wrong and nullifies these unfair agreements in the first place. The court did not do that. We are probably going to need the Maryland Legislature to take us there. With the money these nursing homes have to put into political campaigns, that will be a tough road to hoe. In Futurecare Northpoint, LLC v. Peeler, our client’s mother entered FuturePoint and was asked to sign an arbitration agreement. Of course, she signed it. For the next eight days, we allege that the nurses and doctors at Futurecare negligently failed to assess and treat Ms. Butz’s groin wounds eventually causing her to contract sepsis. Finally, when the woman was found somnolent and lethargic, she was taken back to Hopkins. Her doctors performed numerous operations in an attempt to control her infection. Unfortunately, these efforts were unsuccessful, and she died. Our law firm filed a nursing home wrongful death lawsuit in the Circuit Court for Baltimore County on behalf of the victim’s daughter. FutureCare asked the Court to dismiss the wrongful death action and enforce the arbitration agreement signed by our client’s mother. Judge Mickey Norman of the Circuit for Baltimore County refused to enforce the arbitration agreement against our client. Why? Because she never agreed to arbitration. The nursing home appealed. Our argument before the Court of Special Appeals seems pretty simple: she cannot be bound by an arbitration agreement she never signed. The nature of a wrongful death claim makes it more complicated. In Maryland, a wrongful death action is “derivative” of the injured family member’s claim. The action stems from the same underlying conduct, which must have resulted in the now deceased family member having a viable claim when she was injured. Because they stem from the same underlying conduct, in Futurecare, the Appellant nursing home argued that our client’s mother had the ability to bind her wrongful death beneficiary when she signed an arbitration agreement giving up her right to a jury trial. According to FutureCare, signing an arbitration agreement is akin to signing another type of contract: a “release.” In making this argument, the nursing home relied upon the “century-old precedent” of State use of Melitch v. United R. & E. Co.,121 Md. 457 (1913). (This case is so old I can’t even find it on Google to link to it for you.) 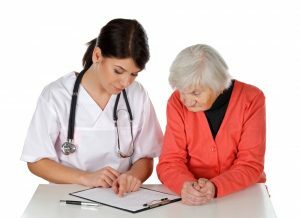 According to the nursing home, just as an injured person’s signs a “release” binding future wrongful death claims, an injured person’s signature on an arbitration agreement can contractually require the arbitration of a wrongful death claim. In support of its argument, the nursing home also relied upon the language of Maryland’s Wrongful Death Statute CJP § 3-901 – § 3-904, which defines a “wrongful act” as an “act, neglect, or default including a felonious act which would have entitled the party injured to maintain an action and recovered damages if death had not ensued.” Based upon this language, the nursing home argued that the wrongful death beneficiary stood in the shoes of the injured family member. Therefore, all of the defenses available to the injured family member (including contributory negligence, assumption of the risk, parental immunity, release, and no privity of contract) were also binding on the wrongful death beneficiary. The nursing home argued that the same logic should also apply with respect to arbitration. The Maryland Court of Special Appeals said that while it is not wholly incorrect to state that a wrongful death claim is derivative of the decedent’s claim in some sense, a wrongful death claim “derives” from the decedent’s underlying injury in the sense that it is “based upon the death of another person.” It is not “brought in a derivative or representative capacity to recover for a loss or injury suffered by that person.” The Statute creates a “new and independent” cause of action for wrongful death beneficiaries for their own damages. In bringing a wrongful death claim, the wrongful death beneficiary does not stand in the same shoes as the injured family member. In sum, Melitch stands for the proposition that, under some circumstances, the pre-death release of a personal injury claim effectively prevents statutory beneficiaries from establishing an element of a wrongful death claim arising from the same injury… An injured party’s contributory negligence, assumption of the risk, or release may negate the ability ‘to maintain an action and recover damages’, [but] an injured party’s agreement to arbitrate, by contrast, does not negate the ability ‘to maintain an action and recover damages.’” It simply determines the forum in which a future wrongful death claim is to be litigated. Given that the right to litigate the wrongful death claim never belonged to the injured family member, they could not contractually obligate their wrongful death beneficiary to litigate that claim in a certain forum. Ultimately, the Court of Special Appeals holding in Futurecare will have far-reaching implications. In Maryland, nursing homes and other healthcare facilities go to great lengths every day to have their patients sign arbitration agreements. On many occasions, these agreements are included as part of the admissions paperwork to the facility. Because the paperwork is difficult to understand and usually presented with many other complicated documents, patients often sign these documents without asking any questions. After all, most patients are just concerned about getting into the facility to get treatment. They are not concerned about some hypothetical future medical malpractice claim. The Court of Special Appeals holding in Futurecare means that even if a patient signs this paperwork, the patient’s family members will still have the right to have their wrongful death case heard and decided by a jury. Not only is this holding important in Maryland, it is also important throughout the country. Currently, there is a 50/50 jurisdictional split on this issue as to whether a wrongful death beneficiary is bound by an arbitration agreement signed by their family member. Many states still have not addressed this issue. Other states hold that a wrongful death beneficiary is bound to arbitration. The courts in the undetermined states can rely upon Peeler as persuasive authority in determining whether wrongful death beneficiaries are bound by arbitration agreements in those jurisdictions. We are just very proud of being a part of making new law that will help get wrongful death cases before juries which are where they below. We are also proud of our own Justin Zuber who fought — and will keep fighting — like crazy for our client in both writing the brief and arguing this case before the Maryland Court of Special Appeals.